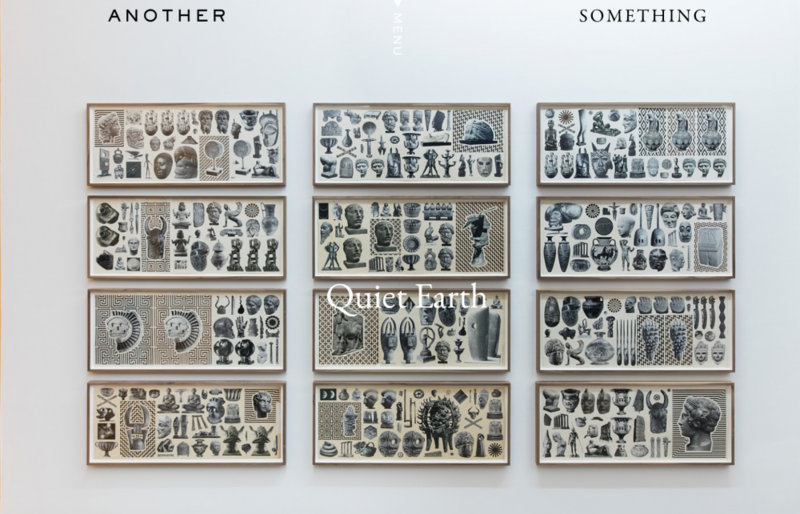 Press: Another Something, "Quiet Earth"
A little over a year ago, the New York City-based Asya Geisberg Gallery opened a new exhibition named ‘Quiet Earth’ featuring new works by American collage artist Matthew Craven. Unfortunately we missed the inspirational display at the time, but recently our friend Merijn at …,staat pointed it out to us and we have been infatuated by the haunting works from that moment. The exhibition featured a series of works on paper, combined together rhythmically repeating a flattening of time and scale. In the imagery, Craven combines found images of antiquity with abstract hand-drawn patterns of ambiguous origin, and often subsequently painting walls to emphasize aesthetic choices that personalize his project. Ever-curious and controlled in his choice of placement and mark, as per usual the artist created enigmatic combinations, that despite (or maybe because) their encyclopedic nature, always succeed to engage our gaze and force curiosity about each specific reference and composition. Craven always begins his imagery on an aged background, often vintage movie posters with yellowing tape, finding images in old books that are never glossy. As his collages compress millennia by placing the prehistoric next to the modern, they shift around time: the distance between the image’s creation and our grasp of its significance, the hours searching for appropriate materials, the cultivation of isolated fragments before evolving into Craven’s artistic universe. Several of the works use the landscape, colorful and present, to form a dialogue with the silent man-made artworks, adding an exciting visual layer. It seems as Craven is saying that we exist today because of our pre-historic past, and all cultures share the same planet. From a greater distance, the differences melt away (which too many people seem to forget now a days! ), and just as all landscapes share underlying structure and forms (hence the quietness of the earth, possibly), so too do Craven’s stone temples, monuments, and patterns. The result is a highly fascinating series of work forming a quest through human history without ever losing our interest on an aesthetic level. We can’t wait for more aesthetic journeys from the mind of Matthew Craven.